So you finally got your hands on your first brewing system, automated or not, and you’ve made a few kit recipes, but now want to start building your own recipes from scratch. Or, maybe your new system doesn’t sell recipe kits and you need some guidance off the bat. In this article we’ll go over how to build a basic recipe, and how to create a system to let you create recipes that work every time. What Does Grain do for Your Beer? There are four ingredients in beer. Water, Malted Barley, Hops, and Yeast. Malted barley, also referred to as malt or grain, provides flavor, color, body and sugar to your beer. Sugar is converted into alcohol and CO2 by yeast. So in this aspect, the more grain used in a recipe recipe, the higher the alcohol percentage will be. 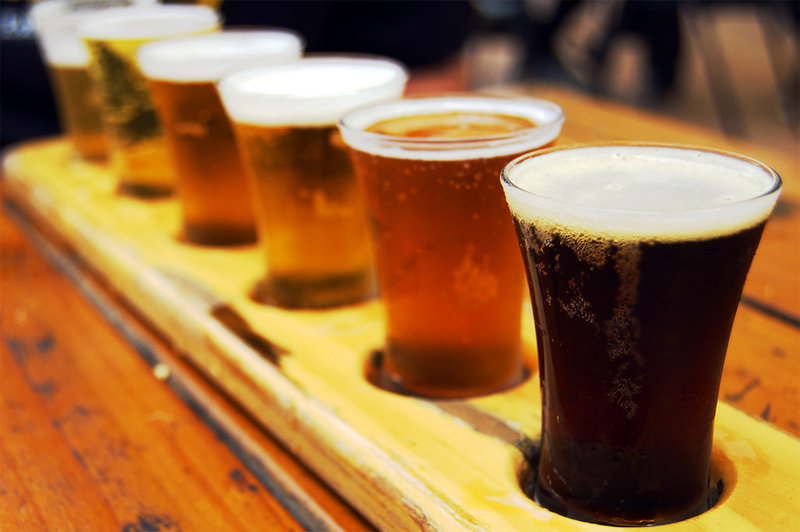 If Only One Type of Grain is Used, How Are There So Many Types of Beer? During the kilning process mentioned above, different temperatures and kilning times create different characteristics in the finished malt. Longer times at higher temps create dark roasted malts that add coffee and chocolate-like flavors. A plethora of moderate ranges create a wide array of what brewers call specialty grain creating bready, malty, fruity, or even sweet caramel-like flavors. Grains that are kilned just enough to stop the growth process in the grain are commonly referred to as base malts. They provide the majority of sugar to the beer during a mash, and contribute at the very least 70% of a grain bill. Different combinations of base, roasted, specialty, and those alternative malts (rye, oats etc.) is how you get so many unique and different styles of beer which plenty of variation within the style. Of course, yeast and hops also play a big role, which we’ll get into later. When a kernel of barley sprouts it produces enzymes that convert starches locked in the kernel into sugars that the seed uses to grow itself into a new barley plant. Flour is created from grain that is crushed to a fine powder. So in bread, the starches are still starches and haven’t been converted to sugar. Don’t worry your body converts the starch into sugar during the digestive process, which is why bread isn’t really good for you in large amounts (it’s basically sugar to your body). Anyways, after the kilning process the process is frozen in time and needs to be unlocked in the mashing process. First the grain must be cracked open, which exposes the endosperm. This is what we will be converting to sugar. There are a couple different enzymes involved that work at slightly different temperatures, but in essence, leaving crushed malted barley in 152F water for an hour will get the job done. There are a few more complicated factors but this is the bottom line. Again, crushed malted barley in 152F water will convert the available starches into sugars. So we understand the very basic concept of mashing malted barley to get a sugary solution called wort. Let’s look at the basics of building a grain bill. If you’ve ever looked at a chart of available malted barley varieties and their flavor profiles, you’ve probably gone through and picked out a bunch of specialty grains to create the “perfect beer”. An amazing mix of chocolate, caramel and toasted bready flavors! However, you probably forgot to add in some base malt. That means your beer will turn out quite poorly. So let’s look at why base malt is so important in a beer recipe. During the extended kilning of specialty malts, some of the starches are already converted to sugars, some get locked in, and some convert and caramelize and can no longer be fermented. So what do I mean by locked in? All malted barley has something called a diastatic power value. This number represents the amount of enzymes it has to convert starches to sugars during the mash (hot water soak) I previously mentioned. If there isn’t enough diastatic power in the grain bill, not enough sugars will be converted, and you won’t have a good beer. Typically, the darker a malt is, the less power it has to self convert locked in sugars, and the roasted ones have little-to-no sugar available from the start. Base malt has enough sugar to convert itself to sugar in a mash, and has enough left over to convert the grains that can’t convert themselves. This is why you want at least 70% base malt as a bare minimum. If you are only going to use 70% base malt, some of the other 30% should also be from grain that does have a decent diastatic power. Around 80-85% base malt and up is a safe zone where it doesn’t really matter too much what you do with the other 15-20% conversion wise. There are more of course, but most recipes call for one or more of those five. These should take up the 70-100% of your grain bill. If your grain supplier has spec sheets for the available malts, a Diastatic Power of 100 or higher is a good indication of a typical base malt. There are some “in-between malts” that aren’t the best candidates for base malts, but can self convert in good mash conditions. 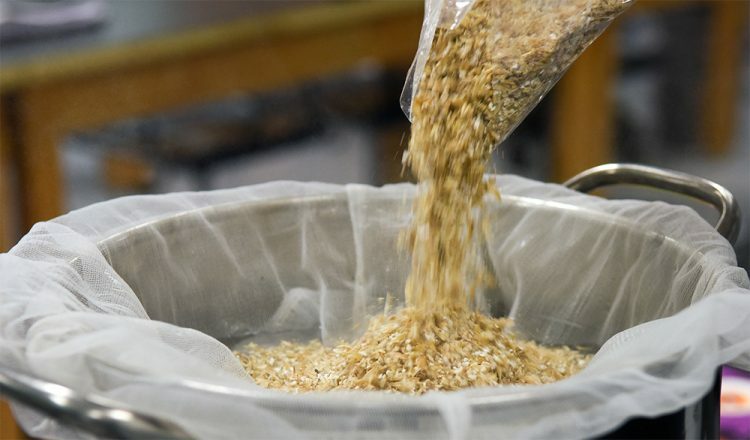 They just don’t have a lot of Diastatic Power to convert other grains in the mash, so they should be used with some base malt, or without any specialty malts. The two most prominent examples are Vienna Malt and Munich Malt. They have Diastatic Power between 50-75, enough to self convert but not really enough for a grain bill with any specialty grains. There are a lot more, but it’s safe to assume if it has a Lovibond value over 10 (usually depicted as “10L”, or “Degrees Lovibond: 10”), it should be built in the specialty grain part of your recipe. Specialty malt should make up 10-15 percent when used, and crystal malts should only be 5-10% of your total grain bill if used. Roasted malts provide little to no fermentable sugar to a beer. They provide color and strong roasty flavors to a beer. Stouts, Porters, and Black Lagers are some examples of styles that use roasted malts. Roasted malts should take up 5-10% of the grain bill if used. Just a little bit can go a long way to add flavor and color to your beer. If some of the science of it all is glazing over your eyes, if you have an automated brewing system, most of it is handled for you in that the machine takes care of mashing and converting the sugars. The rules about diastatic power still applies though, so follow these basic templates when creating a recipe your first few times until you understand the process a little better. These are very rough guides as far as style overview goes, but they will get you on the right track when creating your own recipe. 90 – 100% – Base malt. Brown Ales and Porters have a darker color that is completely opaque to a semi-translucent brown or ruby color. They use some roasted malts and darker specialty malts to get rich malty flavors and the characteristic dark color. Black Lagers are dark, have some roasted flavor, but aren’t super heavy or roasty like a stout. If you have any questions about grain or building grain bills, let us know! It can be confusing until you get the hang of it, so feel free to run questions or your grain bills by us.